After making a fairy door out of sticks and hiding it in our neighbor's garden last Summer, L and I thought we'd spread the fairy love a little farther this year...we've been making FAIRY DOORS and GNOME DOORS and hiding them all around town! It's so much fun surprising the young and the old -- just imagine the look on anyone's face when they're out in the garden and suddenly discover a teeny, tiny door that wasn't there before. Ha! 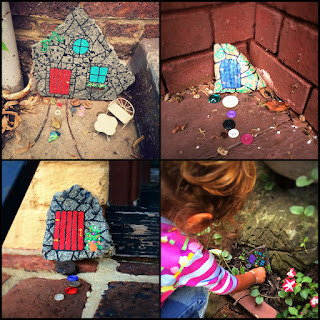 These fairy doors are so simple to make and all you need is rocks, paint and clear sealant (which is optional). 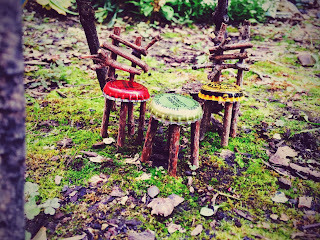 To draw a little more attention to the fairy doors, we like to leave a tiny button or painted rock trail as well. After cleaning any dirt off your rock, start by painting on a door. Next, add some windows, if you have room. If adding any glitter paint, apply that next. We like to paint a little glitter over our windows. Next, outline the door and windows carefully with black paint. Add a doorknob as well. Now for my favorite part, paint connecting black lines on the rock, resembling a stone wall. If you'd like to add a flower pot or lil window box, add one now. Finally, finish with some green vines, leaves, and flower details. Once all your paint is dry, you can spray the rocks with a coat of clear sealant to make the fairy doors even more weather resistant. Permanent paint usually doesn't wash away, but I always like to add a coat of sealant just in case. 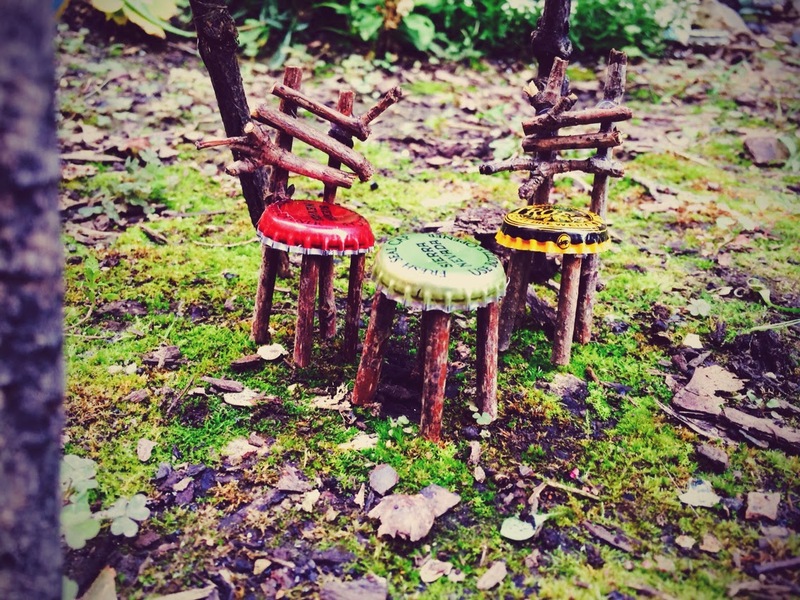 See also this DIY for fairy furniture!